Grand Theft Auto V may experience an application hang after loading story mode. DiRT Rally rain drops may flicker when using high or ultra in game settings. 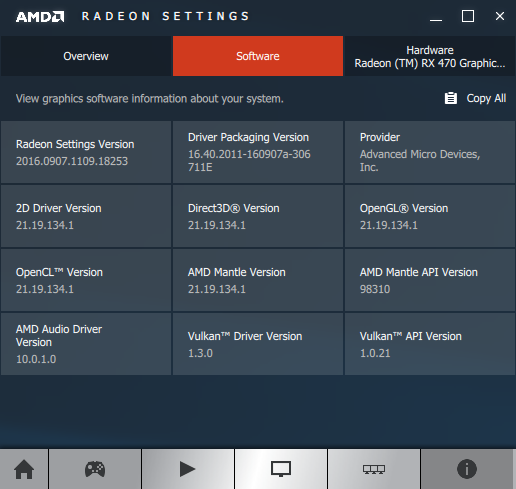 DOOM may experience a hang on game exit in some limited AMD PowerXpress configurations. 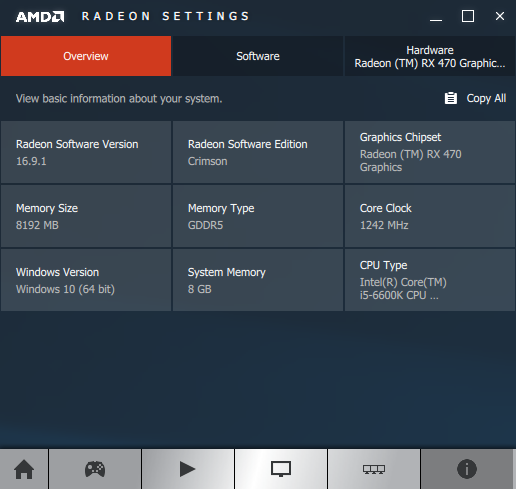 Total War Warhammer may experience negative AMD CrossFire scaling on some Radeon RX 400 series configurations. 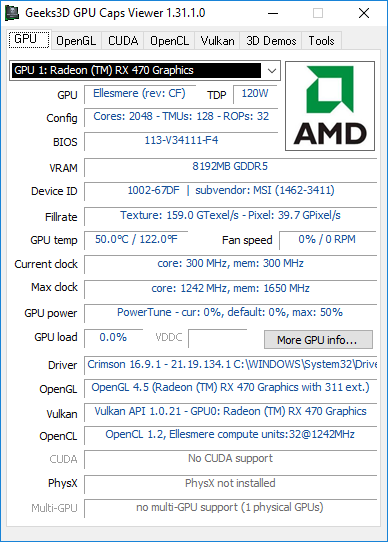 Crimson 16.9.1 supports all recent Radeon GPUs (RX 400, R9, R7, R5, HD 7700, HD 7900, HD8500, HD 8900). Crimson 16.9.1 can be downloaded from THIS PAGE. 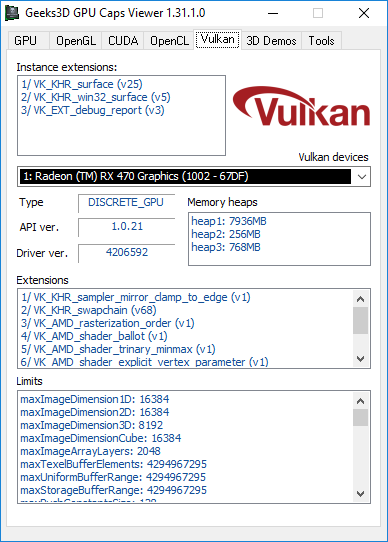 AMD Crimson 16.9.1 is an OpenGL 4.5 and exposes 311 OpenGL extensions for a Radeon RX 470 on Windows 10 64-bit. 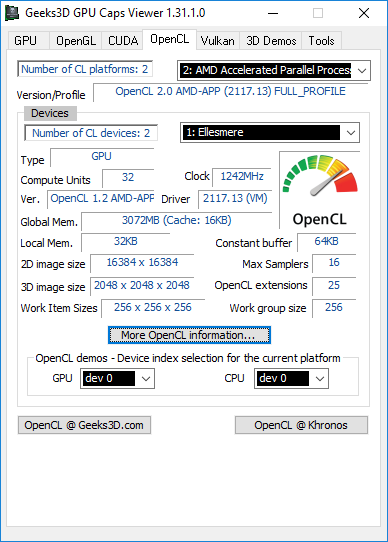 These OpenGL extensions are listed in this post.